Internet Explorer is a default program on Window. When you are set up Windows on your computer then Internet Explorer will auto be installed. So, you can’t remove it like others programs from your computer. But you can disable Internet Explorer in Windows 7. 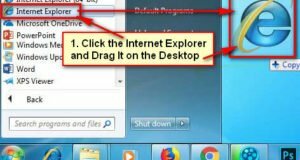 In this article, I will show you 2 easy method to remove internet explorer in Windows 7. 1. 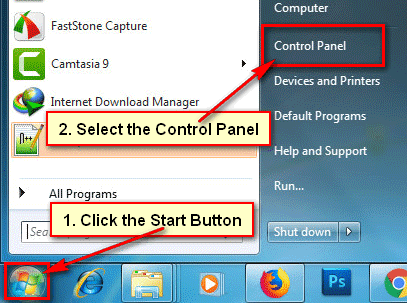 Press the start button and select the Control Panel to open control panel dialog box. 2. 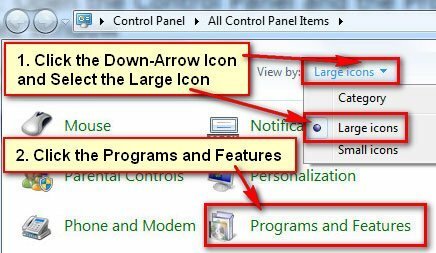 Click in front of View by arrow icon and select the Large icons option. Select the Programs and Features option from this dialog box. 3. You will not find the Internet Explorer on the program list. To open all the Windows features, you need to click the Turn Windows features on or off the link. This link you will find left of your Programs and Features window. 4. Scroll below of the “Turn Windows features on or off” window to find out the Internet Explorer folder. 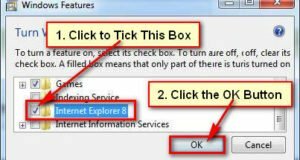 Click the left of Internet Explores folder redial box to uncheck it. You will see a message then press the Yes button. 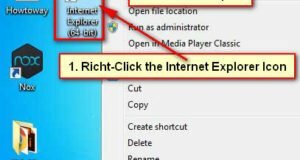 Click the OK button on Windows Features window to remove Internet Explorer in Windows 7. 5. Wait few seconds until continuing the process. After completing this process, you will see “You must restart your computer to apply these changes” message then press the Restart Now button. After that, you will not find the Internet Explorer browser on your computer. 1. Click your Windows start button, type into the search bar programs and features and select the Programs and Features from top of the search result. 2. Select the View installed updates option. Scroll down below of the Uninstall an update to find out the Microsoft Windows section. Into the Microsoft Windows, you will find the Internet Explorer. Right-click the Internet Explorer 11 and click the Uninstall option. 3. If any message will appear then press the OK button. 4. Click the Restart not to successfully uninstall Internet Explorer in Windows 7. 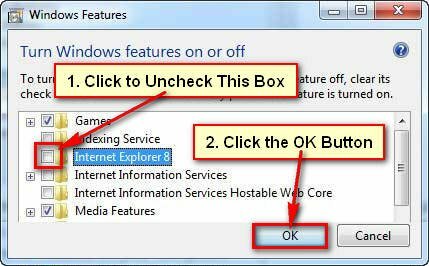 Using upper any method you can easily remove Internet Explorer 11 in Windows 7.